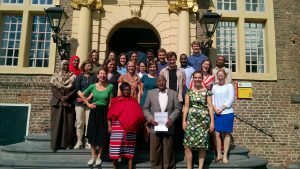 The LANDac Annual International Conference “Land governance in transition” will take place on July 4 and 5, 2019 in Utrecht. It offers a podium for researchers, practitioners and private sector representatives interested in land governance for equitable and sustainable development. The 2019 Conference looks at land governance through the lens of transformations. 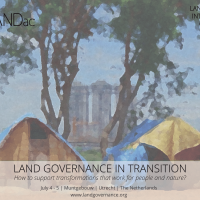 This year, the LANDac conference is about Land Governance in Transition: How support transformations that work for people and nature? Central questions revolve around the long-term dynamics around land, water and food production. How is land governance itself transformed, as it seeks to respond to changing circumstances? And how is learning and knowledge building about these dynamics developing, what are promising concepts and tools? Particular questions relate to the different aspects of land governance, such as gender, food security, land tenure security, investments, conflict prevention and peace-building. In a fast-paced world of short-term projects and funding, how can we learn from past and current transitions, build sustainable partnerships and networks, and allow for seeds of innovation to bear fruit? This conference builds on nine years of LANDac Annual International Conferences where rural land debates were connected to the urban agenda, where land governance from an SDG starting point were explored, and where its role in issues of mobility, migration and displacement was examined . The 2019 Conference builds on these discussions to return to core questions about land governance and transformation. Register now for the LANDac Annual International Conference 2019! Below is an overview of all conference sessions, categorized according to the conference themes. Please click on a theme to be directed to the session descriptions. • Spatial Injustice in Urban Land Markets in East Africa: What is the Evidence? • Community Rights to Forest Lands: What are the key conditions for success? • Accumulation by dispossession. Dynamics of large-scale land acquisition, agro-industrial crops and Especial Economic Zones. • Pay to play: how should we finance land governance transitions, and why does it matter? LANDac welcomes innovative and original ideas; if you have suggestions for materials to present or exhibit at the conference – such as short films, interactive websites, photos, posters – please contact the organisers at landac2019@gmail.com. 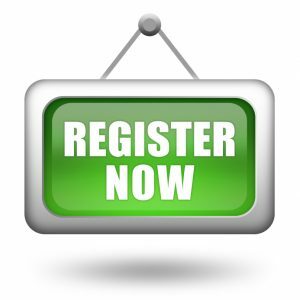 Registration costs are €200 (€100 for BSc and MSc students upon proof of a valid student ID). The registration fee includes catering for two days. We regret that LANDac is unable to cover participant expenses. We look forward seeing you in Utrecht this summer! To sign up to the LANDac mailing list, send an email to landac.geo@uu.nl. You will be kept up-to-date with happenings in the Netherlands land governance sphere, and specifically with LANDac events – including conference news.